It’s a great sign for the club that so many girls want to stick around for next year. MELBOURNE has made a positive start to the AFLW Sign and Trade period by re-signing All Australian duo Karen Paxman and Lauren Pearce on two-year contracts. 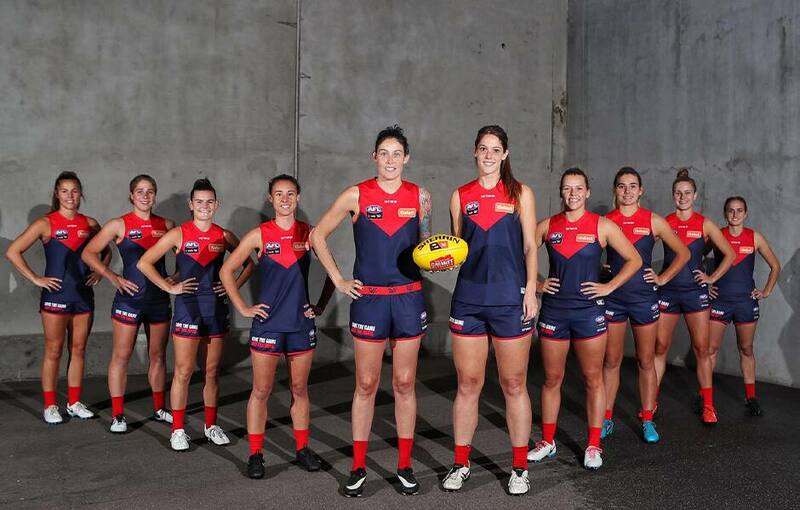 The Demon pair, as well as pacey forward Aliesha Newman, were highly sought-after by opposition clubs following standout 2019 campaigns, but Melbourne is thrilled to announce their commitment, along with 15 of their teammates, for 2020 and beyond. “We’re incredibly excited to have Paxy, Loz and Newy recommit to the club,” AFLW List Manager Todd Patterson told Melbourne Media. “As you’d expect, there was some interest in all three of those girls after their performances this year, but their signatures are a great show of faith in the direction of the club." On Wednesday afternoon, Melbourne announced the re-signing of 18 players for next season, with retention a major focus in the club’s plans for the future. “It’s a great sign for the club that so many girls want to stick around for next year,” Patterson said. “We’re really confident with what we’re building here, and we wanted to hold onto the core group of players. "With thanks to Paul Carvosso from Cream of the Crop (Paxman), Tim Hazell from Vivid Sport (Pearce) and the other player managers, we have been able to do so." Co-captains Elise O’Dea and Shelley Scott are among the players to put pen to paper during the signing period, along with vice-captain Sarah Lampard who rounds out the leadership group. “Our leaders worked really well together this year, with Shell and Junior (O’Dea) receiving good support from Paxy and Lampy,” Patterson said. Star forward Tegan Cunningham will also be pulling on the red and blue again in her third year of footy after having a breakout season in 2019 to poll third in the club’s Best and Fairest Award. Former Blue Maddi Gay is another to recommit after starring in the back-end of her first season at the club, along with fellow midfielders Kate Hore and Lily Mithen. The Demons backline will remain strong with the signatures of Harriet Cordner, Chantel Emonson, Katherine Smith and Shae Sloane, while some talented youngsters have also agreed to remain with the Dees. First round draft picks Tyla Hanks and Eden Zanker will be back for 2020 after impressing in the early stages of their careers, as will Maddy Guerin and Casey Sherriff who continue to develop their craft. “We have signed up a really good balance of girls which we think is important,” Patterson said. “Obviously to hold onto those younger players is crucial, but to re-sign girls from all three lines across the field will hold us in a good position for next season.